Claimed in 1499 by Alonso de Ojeda and Amerigo Vespucci on behalf of the Spaniards, Bonaire was first conquered by the Dutch in 1636, an event immortalised by a commemorative plaque found in the Wilhelmina Park and honouring the island’s first Dutch Commander, Mr Van Walbeeck. However, the Spaniard occupation still lives through the island’s oldest settlement, Rincon, which they created in the early 1500’s, at the heart of a valley chosen to protect them against potential invaders and pirate attacks. 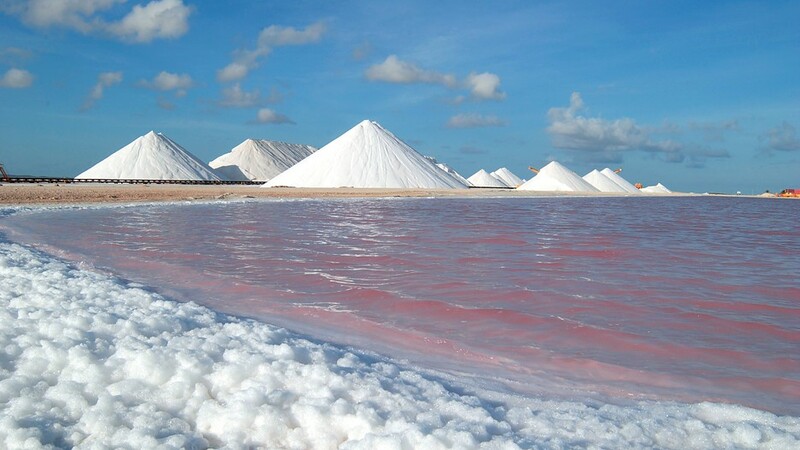 The late 1600s saw the arrival on the island of African slaves brought to work on the plantations and in the salt pans. Living in Rincon, the slaves were required to walk South to the salt pans, where they would stay until the end of each work week, when they would return to Rincon to bring the week’s supplies to the Mangazina Di Rei (the King’s storehouse). Papiamentu, the Creole common to the Dutch Antilles islands of Curaçao, Aruba, and Bonaire, is a great bearer of the island’s heritage. Tracing back to the Portuguese colonisation of West Africa in the mid 1400s, this mix of African languages structures and Portuguese vocabulary was originally created for settlers and indigenous people to communicate. The arrival of African slaves to the Dutch Antilles resulted in the development and expansion of the language now known as Papiamentu and spoken all around the ABC islands. 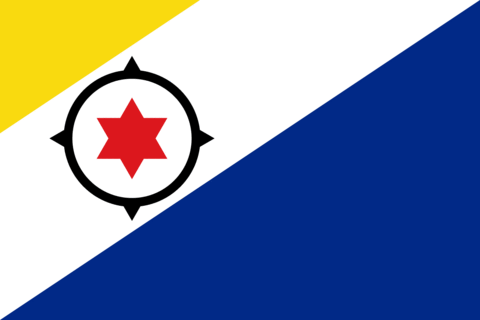 Between 1799 and 1816, during a period of change in the European political landscape referred to as the “time of confusion”, Bonaire was occupied by a succession of nations and leaders until repossessed by the Dutch in 1816, a period that strongly contributed to the island’s rich ethnical background. Whilst Curacao and Sint Maarten acquired their independence following the 10-10-10 constitution that proclaimed the dissolution of the official Netherlands Antilles, the islands of Bonaire, Sint Eustatius and Saba voted to keep their direct ties with the Netherlands. Forming the “Caribbean Part of the Netherlands”, the three islands have since then been considered as municipalities of the Netherlands and, although Netherlands Antillean legislation remains applicable, any inhabitants with Dutch nationality is entitled to vote in the election of the Dutch House of Representatives, as well as in European Parliament elections. Although not considered a country, Bonaire has its own flag, proudly displaying the colours red, white and blue in honour of the Dutch Kingdom flag. The yellow triangle situated at the upper end of the flag symbolises the island’s sun and beautiful nature - most Bonairean flowers being yellow (Kibrahacha, Kelki hel,Brasilia Hobada, Cucu, Sente-bibu, Anglo, Watapana). The flag’s blue triangle symbolises the sea that surrounds the island, whilst the white represents peace, tranquility and liberty. The navigation-compass symbolised by the black circle represents the island’s sailing and exploring traditions, whilst the six-pointed red star within the compass represents the fighting and surviving spirit of the six traditional regions that compose the island of Bonaire. These elements are also found in Bonaire’s coat of arms. The islanders carry the various ethnical influences that compose Bonaire’s rich heritage, including Indian, African, European, and Asian roots, also represented in the country’s religious and holiday celebrations. Those celebrations are a core element of the local culture, and showcase the island’s love for life, food, and music - a mix of tribal beats and modern instruments creating Bonaire’s unique sound. Those celebrations are also marked by the distinctive dances that compose Bonaire’s cultural background and reflect the international roots of the country’s traditions. Among those are the Simadan and the Bari. Both are strongly linked to the island’s harvesting traditions, dating back to the slave work era, with the first one being known as the symbol of a successful autumnal maize harvest, and the latter being a great example of Bonaire’s European roots. The island’s traditional musics often feature local instruments such as the Bari, Agan, and the Chapi, all made of resources found on the island and ranging from rum barrel to dried donkey jaw. When it comes to traditional dress, the Bonaireans were commonly seen in light coloured cotton clothing, chosen for their ability to keep workers cool under the hot sun.